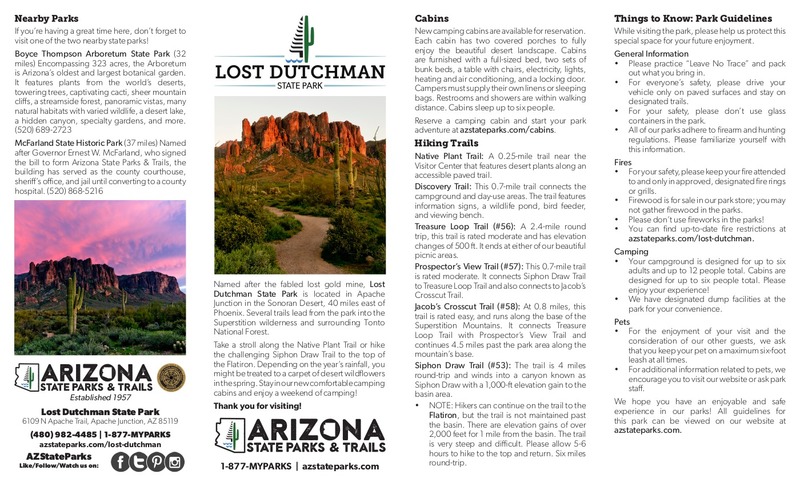 Treasure Loop is a 2.4 mile roundtrip trail that loops through the Lost Dutchman State Park in the Superstitions Wilderness. The trail is one of the easier hikes in the Superstitions and the lower half can often be crowded on the weekends. While the Treasure Loop is a relatively easy day hike, I usually like to extend the hike via an undesignated trail full of solitude. Starting in the Cholla day use area, head up the Treasure Loop trail (#56) past First Water Rd. You will be going up hill rapidly along a straight, well-manicured and wide trail. A little over a mile up, or half way through the Loop, the trail will veer to the right, heading towards Green Boulder. 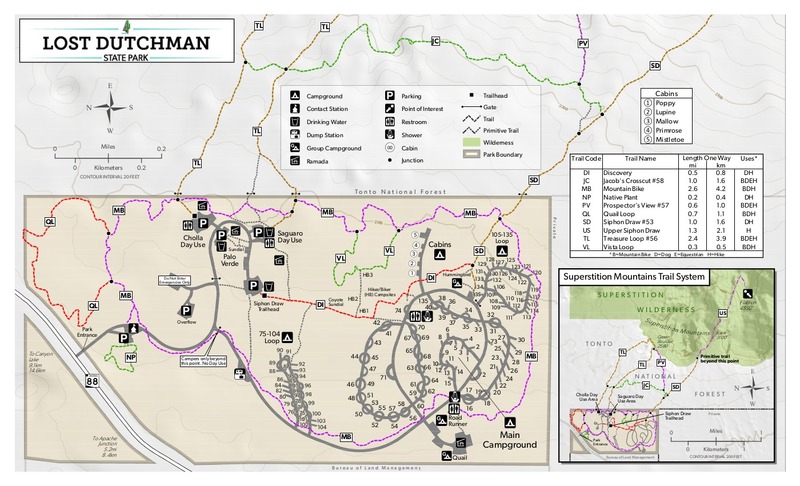 You will be at an elevation of about 2500' feet at this point and should have an excellent view of the surrounding valley's and mountains as well as a clear view of the other trails heading down. Instead of veering right, go straight and off to the left, heading towards Praying Hands. Make this your focal point should you have trouble locating your intended path. The hike becomes more difficult at this point and more steep as you begin ascending over small boulders. However, this is nothing that an average hiker and a decent pair of hiking boots shouldn't be able to handle. Where you want to go basically is to the right of Praying Hands, slipping through the crevice between Praying Hands and the larger structure of the mountain to the right. Once you get to the crevice you want to stick to the left, hugging the large boulder/rock/mountain as much as you can. This side acts as a natural drainage channel in times of rainy weather and therefore is not as slippery nor as obstructed as other areas, making the hike relatively easy. You will eventually make it to the top where a small saddle appears, gracing you with a backside view of the Superstitions that few see. Once you reach this top you will have a great spot to picnic, relax and just enjoy the solitude of this "path less traveled". From here, you can climb further up the igneous rock over your left shoulder, or head straight for an extended journey into the Superstitions. Be careful if you hike over the igneous rock above you, it is quite rugged and there is a spot where you have to climb or jump down to get to a grassy mesa. I actually sprained my ankle in three spots once jumping 7 feet here because I was wearing Teva's. (Note to self: never wear Teva's hiking again. Period). Also, a buddy claims he made the extended journey over the saddle about a mile deeper. There is a spot where you have to jump over a large crack and the scenario is quite dangerous. Considering my history with the region, I declined, but he says he found a little cave with an old stove and lantern that looked at least 50-60 years old, so keep your eyes open. 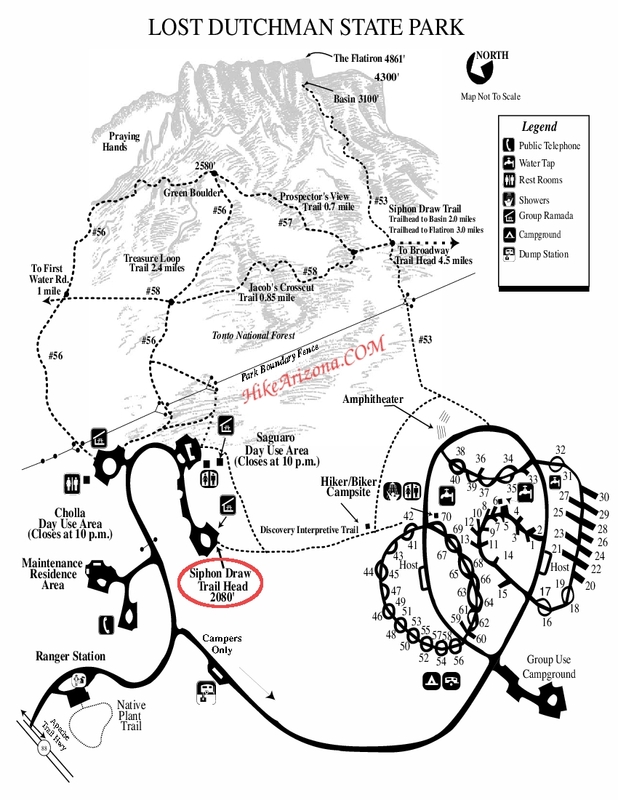 Either way, this hike is great start if you want to do the entire Treasure Loop, but is full of extra rewards if you head further up the mountain. The solitude that you will experience once you get off the main trail is refreshing and the views are remarkable. While this trail is not for the beginner, the hike is not extremely difficult or tiring, and it's a great hike for those that like to explore and play around some amazing geologic rock structures. I love the Superstitions and consider them to be very mysterious and almost spiritual. There's something about this hike that makes me keep coming back for the amazing colors and the gravity-defying formations.